I’m not known for penny-pinching. However, in the last couple of years, I’ve seen the value in looking for ways to save money — as long as they don’t take up a lot of my time and energy. If I can go to a site and quickly see if I can save money on something, I’ve started doing so. Some of this effort has paid off recently. Last year, my son and I enjoyed a great San Diego-based spring break for more than “half off.” Last November, I saved more than $100 just by searching out a promo code before completing the purchase of our new Christmas tree. When I can spend a couple extra seconds to save that kind of money, I’m happy to. And this is why Groupon Coupons might not be a bad idea. Groupon has long been a fixture in the world of deep discounts. Sign up for free, and you get great bargains, tailored to your location, right in your inbox every day. The biggest downside to these types of daily deals is the fact that you rarely actually need them. While it’s not the same thing as extreme couponing (another trend that has escaped my comprehension), daily deal sites do provide you with access to deep discounts. But what’s the point if you are cajoled into spending money on something you wouldn’t normally have purchased? This is where Groupon Coupons have the potential to provide an improvement. Rather than simply waiting until a deal appears in your mailbox, you can go to the site and look for a specific deal. 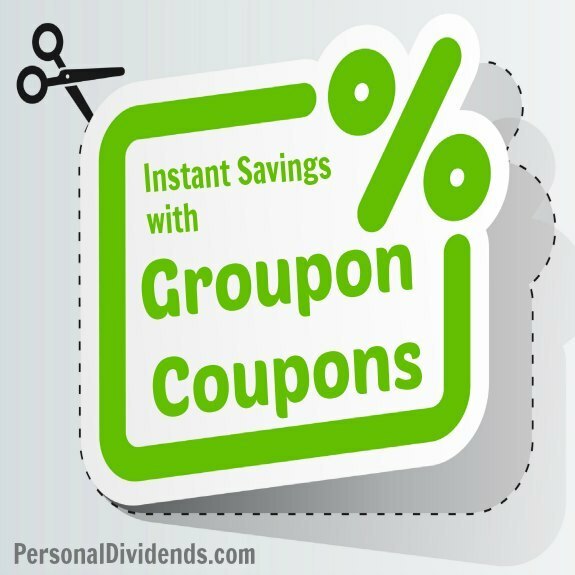 Like the rest of Groupon, Groupon Coupons is a free site, and there is an app you can download to make things easier when you are on the go. 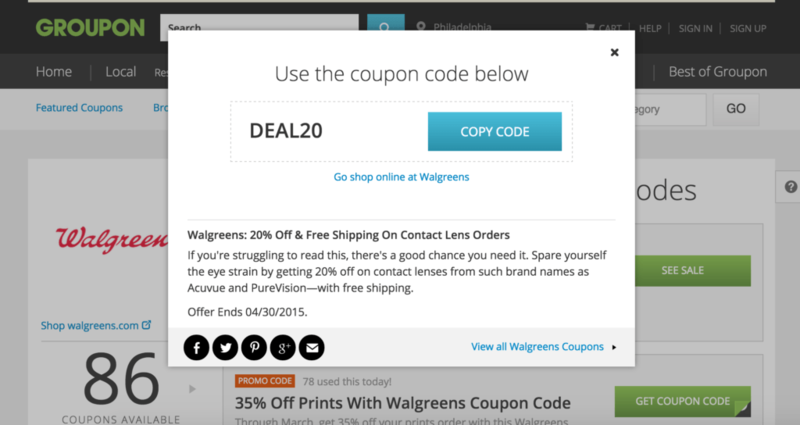 I recently visited the Walgreens home on Groupon Coupons and found a contact lens coupon code for use in my online order. The offer included free shipping, which is great because I prefer not to have to leave the home to pick things up whenever possible. The site boasts more than 55,000 coupons from more than 8,000 retailers, and more are being added every day. It’s easy to get access to savings from a wide range of websites, including Sephora, Hotwire, FTD, and Best Buy. Even stores like Saks and Nordstrom are accessible via Groupon Coupons. No matter what you are looking for, it might make sense to visit the Groupon Coupons site first, just to see if you can find a coupon or a promo code. It’s easy to use, only taking a few seconds to find what you are looking for. In the end, I doubt I’ll be surfing Groupon Coupons all the time; I’m just not that into couponing. However, I can see the site as a great resource, even for occasional savings. If you’re on a quest to find something specific, a coupon site like this can be very helpful and provide you with a way to save your money. Do you clip coupons? What do you think of Groupon Coupons?